Nessa has recently relocated from New York to her native Pennsylvania. Having grown up in a large Italian family in the Delaware County area, Nessa is excited to join the Pure Spa team! After receiving her BFA from The University of the Arts in Philadelphia, she went on to attend Annette Hanson’s prestigious Esthetics school, Atelier Esthetique in Manhattan. After completing her training, Nessa worked in numerous upscale spas in New York City. Not only is Nessa well-versed in facials and waxing, but she also holds advanced certifications in Chemical Peels, Microdermabrasion, Microcurrent and Oxygen treatments. 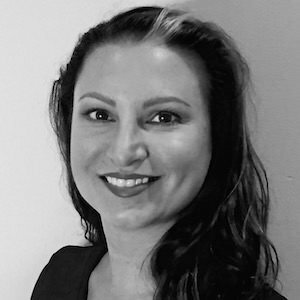 Nessa is looking forward to utilizing her expertise and creative skills in order to provide Pure Spa clients with an exceptional experience. Book your next treatment online now!